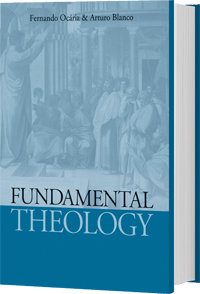 This book presents an analysis of various schools of theology, utilizing recent papal and Magisterial documents to present a thorough study of fundamental theology. Intended for classrooms or seminaries, this text is also perfect for anyone interested to pursue a deeper understanding of Divine Revelation and the Catholic Faith. "We are pleased to present this revised edition of Revelation, Faith, and Credibility which was first published in 1998. . . .
"We renew our desire that it will be useful for students of theology and for all those who are interested in studying the fundamentals of the Catholic Faith. Furthermore, it is our hope that it will lead the reader to a profound Christian awareness that cooperates with the grace of God in sustaining the Faith, lends reason to our hope, and helps others to receive this great gift of knowing and loving Christ."